This slipcase includes four fantastic lift-the-flap song board books and a bonus CD to sing along to! Slipcase includes the following Wiggly song books: Do The Propeller, Emma's Yellow Bow, Toot Toot, Chugga Chugga, Big Red Car, and I've Got My Glasses On. Reading and singing along to favorite Wiggles songs as well as encouraging fine motor skill development with the lift-the-flap functionality is the perfect combination for pre-schoolers. 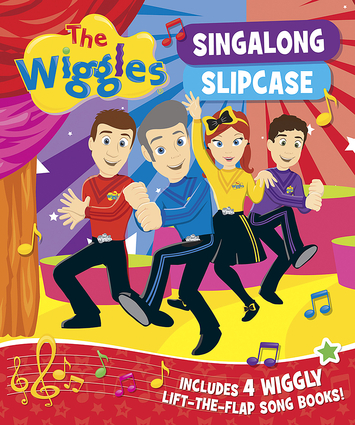 The Wiggles are the world's most popular children's entertainment group which formed in Sydney, Australia in 1991.